Summer is almost over and in all honesty, it feels to me like it didn't even happen. We've not had that many warm sunny days and the majority of the ones we did have I spent at work, in an office. Since I have finished university two years ago time seems to absolutely fly and every sunny weekend feels precious. Before we know it, we'll be walking around in woolly jumpers and scarfs again. I was so happy when we finally got some heat and sunshine over the weekend. 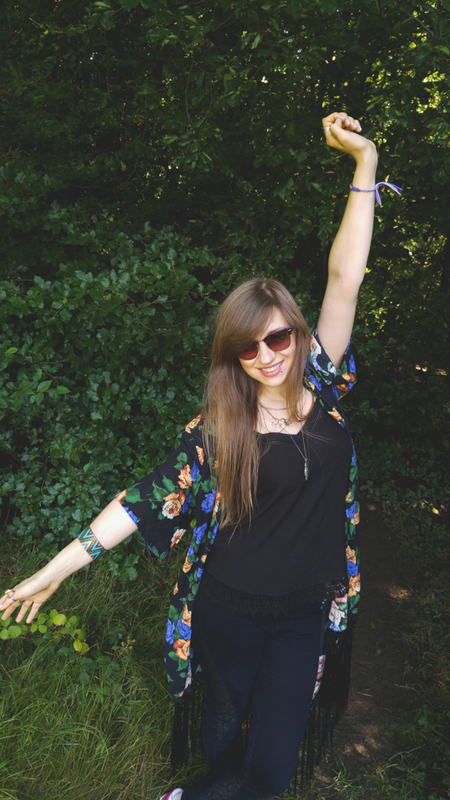 I had a friend visiting and we spent the day exploring Roundhay Park and soaking up the sun. 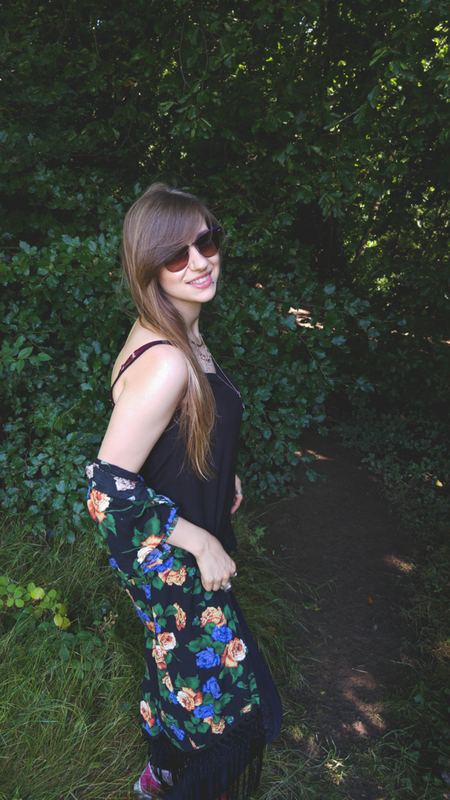 I decided to embrace perhaps this last strech of summer weather with one of my favourite outfits. 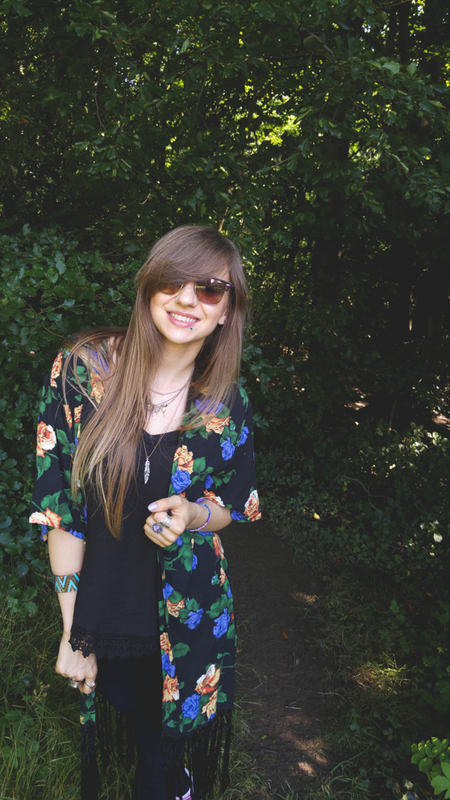 My flowery kimono which I've found on ebay! 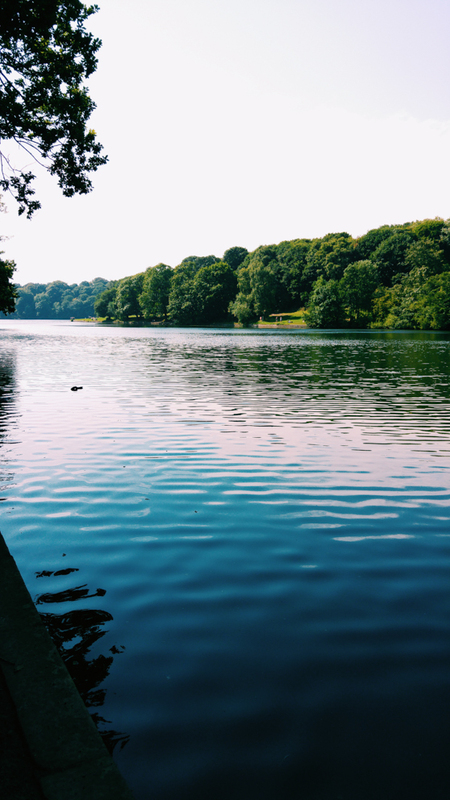 Have you been to Roundhay park in Leeds? It's beautiful and one of my favourite places to get away from the hustle and bustle of the city. 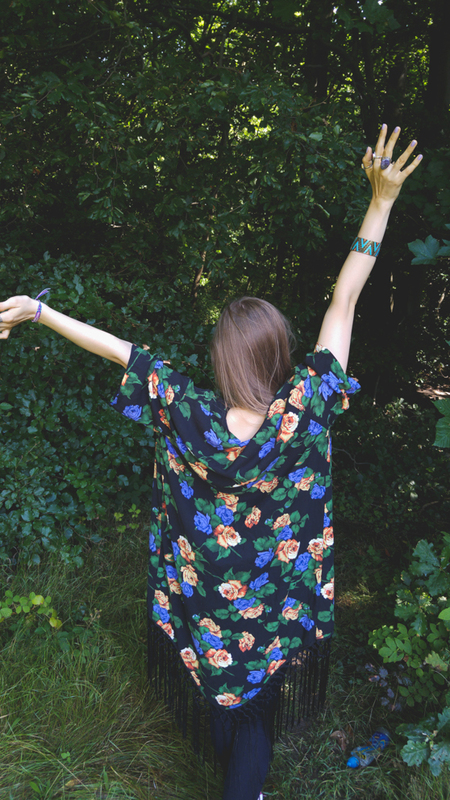 Oh I love your kimono! suites you beautifully. 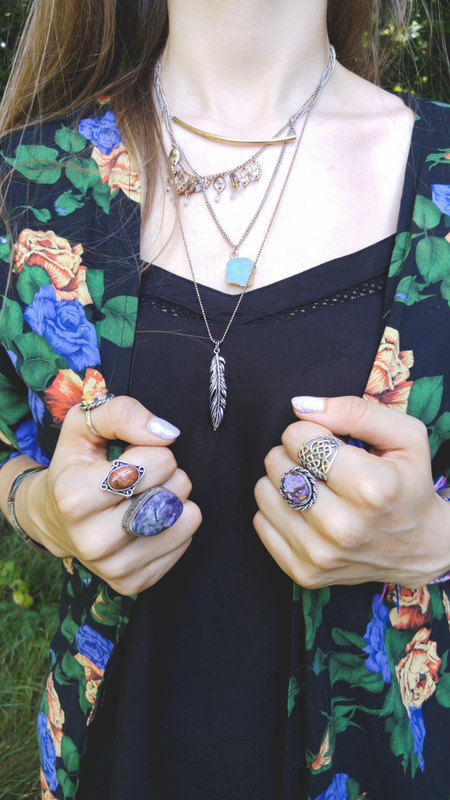 and OH DEAR your jewelry !.. Tha Rings! Literally fell in love with them!